We continue to be at the leading edge of the pension development in Ireland. The following innovations show our commitment to delivering market leading products and services. Pension Planet Interactive is a market leading online platform with access for consultants, employers, trustees and members to administer corporate pension scheme arrangements. Pension Planet Interactive is highly valued by our customers and has won prestigious industry awards. 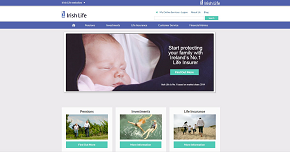 It offers comprehensive information on pension plan details and investments as well as a wide range of online administration tools, for example the functions to process leaving service options and add or update member details. All tools and information are tailored to the specific access levels of members and administrators. EMPOWER Me is our smart phone application designed to help you plan for your retirement. Key features include being able to see your current fund value and the list of available funds within your pension scheme, interactively estimate the value of your fund at retirement and much more. EMPOWER Me is available to policy holders of Personal Retirement Savings Accounts (PRSA) and Defined Contribution (DC) and Additional Voluntary Contribution (AVC) pension scheme members. Projections can be varied to see what effect different contribution amounts and investment periods can have on the fund, based on certain assumptions. It’s an interactive and easy to use online calculator which also quickly displays the benefits and costs of additional pension savings. Our Personal Lifestyle Strategy is a genuinely innovative investment solution for pension members. While better protecting members’ pension fund values against market fluctuations throughout life, it also dynamically directs members’ investments into appropriate funds to best match their likely retirement benefits. 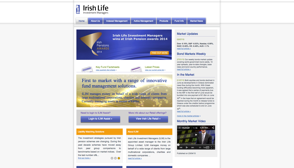 No other pension investment strategy in Ireland has this capacity for a truly personalised solution. 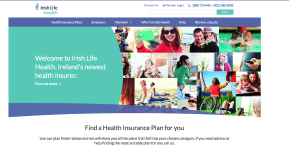 Irish Life Corporate Business were the first Irish insurer to introduce “ Once and Done ” underwriting to the Group Risk market. This is a fresh approach to underwriting for high earners which minimises the underwriting they need to do throughout their life. They are underwritten “once” and they are “done” for life (up to jumbo limits). This differs radically to the old approach when customers had to be sent for medical examinations every few years.